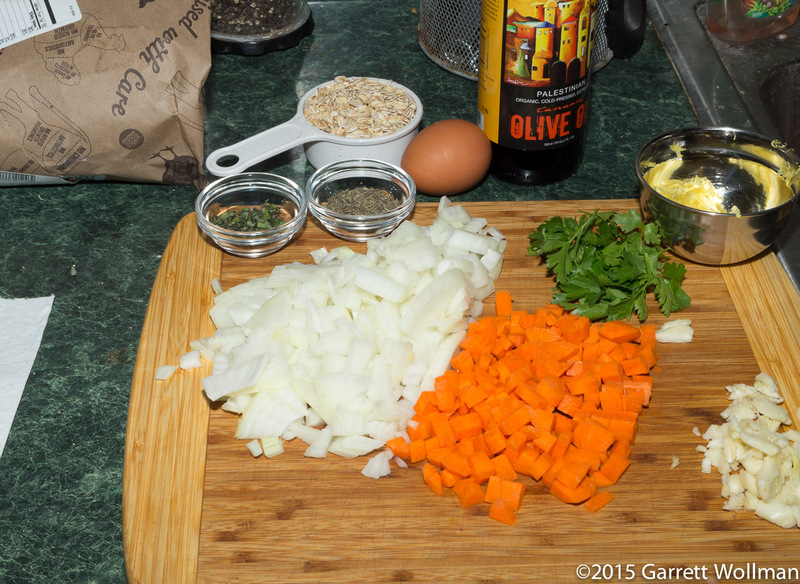 As usual, we start with the mise en place. 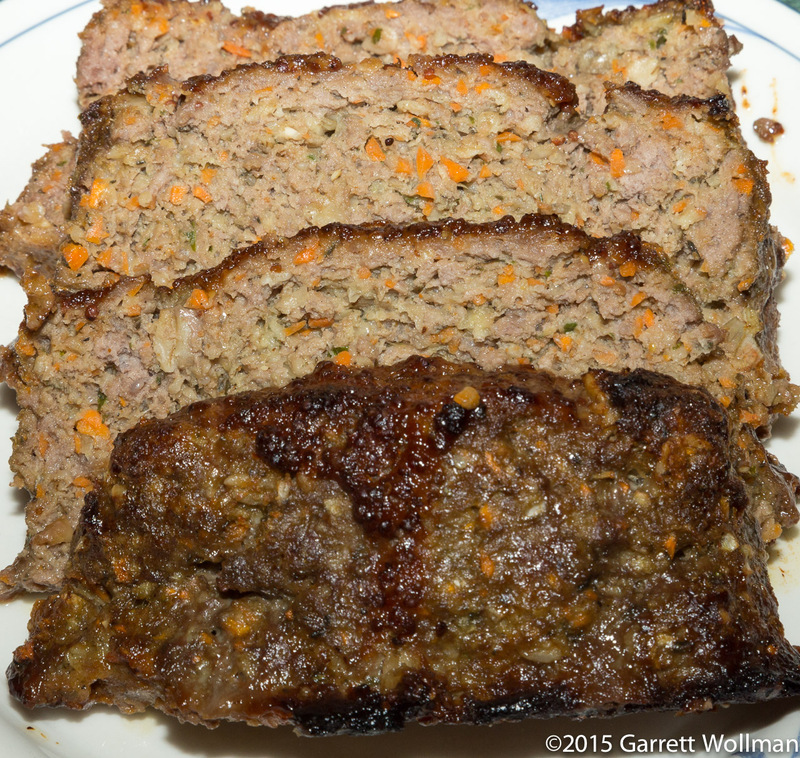 As meatloaf recipes go, this is a simple one that really lets the flavor of the beef shine through; in addition to the meat, there are just a few aromatic vegetables (onion, garlic, and carrot) and a few herbs (parsley, thyme, and marjoram), plus rolled oats and an egg as a binder. The glaze is equally simple, with mustard, honey, soy sauce, and ketchup. 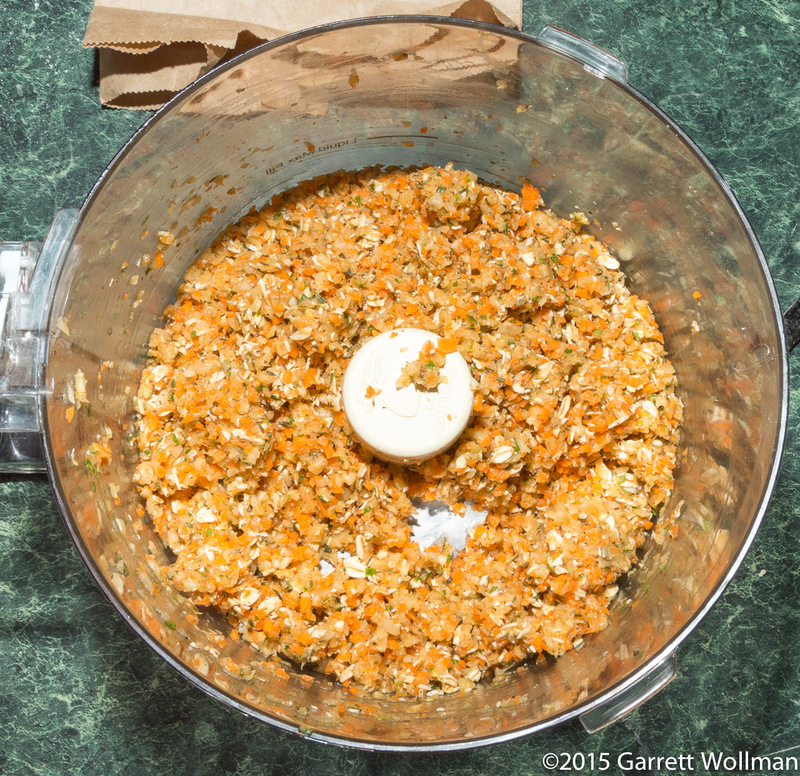 The vegetables, meat, and binder are all mixed together and then packed into a greased 9×5 loaf pan, which serves only as a mold, not a cooking vessel. After turning the loaf out onto a sheet pan, as shown above, the glaze is poured on top (I used a knife to spread it evenly) and the loaf is baked at 425°F (220°C) for half an hour to set the crust. The loaf continues baking at 325°F (160°C) until fully done (checking with an instant-read thermometer), and then comes out of the oven to cool for ten minutes or so. The recipe says to slice into ¾-inch thick slices; I’m not much good at dividing things into twelfths, so I made eight 1¼-inch thick slices instead, making two slices rather than three or four the standard serving size. The stated yield is “4 to 6”, so I don’t feel like I’m deviating too much, and for my meal planning, 6 meals would be two weeks (with half of the food in the freezer, so probably not consecutive weeks). But then after eating the first meal, I decided that it might be nicer to have thinner slices, so I cut each of the big slices in half. As I mentioned, this is based on getting four servings out of a 9×5 loaf. Your mileage may vary. Note that a lot of fat runs out of this loaf while it’s cooking (I used 85% ground beef as the reference), so the actual calorie, fat, and cholesterol values are smaller than stated here. 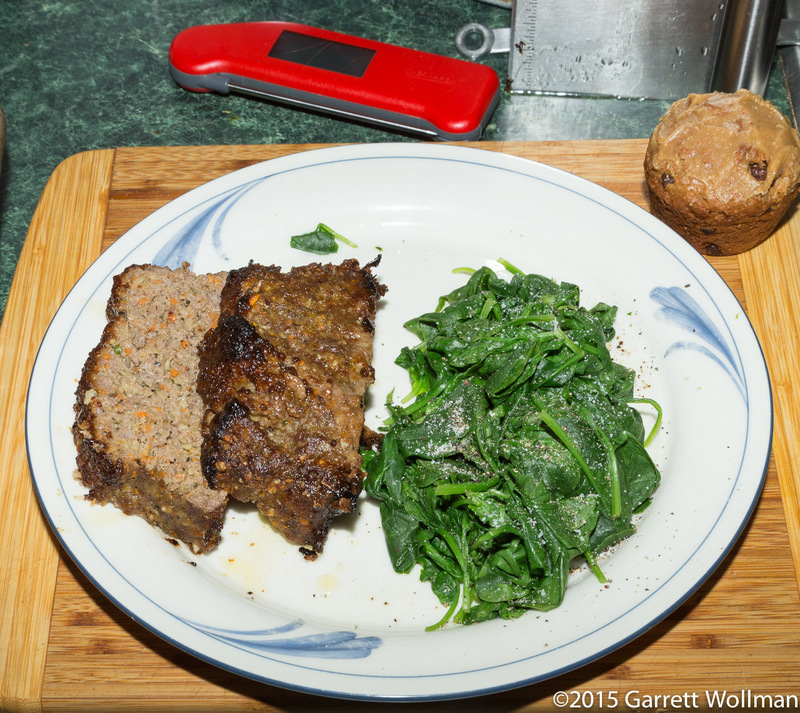 This entry was posted in Food and tagged Deborah Krasner, meat loaf, recipe. Bookmark the permalink.